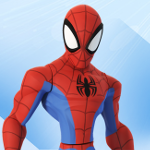 Disney Infinity Fans • View topic - Infinity presence at Walt Disney World? Infinity presence at Walt Disney World? Not sure if this is the most appropriate place for this topic, so please move it if not. Also wasn't sure if this is a discussion already going on elsewhere, if so please merge! We have a trip planned for WDW next year, end of February/beginning of March. Knowing how they love their cross-marketing, is there any Disney Infinity presence (aside from the MagicBand unlock which I'm excited about, we should be getting ours shortly) in the park? As in, is there DI merchandise available, any exclusive items, perhaps even a Disney Infinity Store, or, dare I say, a chance to acquire a King Mickey Power Disc (probably unlikely, but worth a shot, no)? If there is DI stuff available, would it all be the latest and greatest, or would there be a chance to fill in some gaps in my collection - primarily 1.0 figures or power discs that are getting increasingly hard to find? Re: Infinity presence at Walt Disney World? I was in WDW last week and didn't see any exclusives. I honestly only remember seeing the figures, playsets and power discs. Okay, thanks. I figured I would have heard if there were any exclusives available, but also thought it would be in keeping with cross-promotion to have something. I know it's a fine line between exciting and alienating your core fanbase - the Superhero Minifigures that LEGO made available at SDCC, NYCC and ToyFair are just as much a bone of contention to LEGO collectors (another major hobby of mine) as the King Mickey disc is to Infinity fans. Were the figures, playsets and power discs you saw all 3.0, or was there also 1.0/2.0 merch available? I don't recall any 1.0 stuff but I think there was some 2.0 stuff. It really depends on which toy store you enter on what's available (the Toy Store in Downtown Disney seemed to have the biggest selection). But either way, there's nothing exclusive @ WDW that you can't find on Amazon or in ToysRUs. Disney World has a large percentage of their focus on international visitors (which is why, they told me, they do not switch the Haunted Mansion into the Nightmare b4 Xmas theme) so they probably don't think a lot about DI. It would be cool if they made an Infinity Vinylmation figure though. Well, just a quick update - the trip was awesome, and we were there for and able to attend the Disney Infinity NEXT Night/Zootopia preview, which was an awesome addition to the trip. There was Infinity merchandise at a number of the gift shop locations throughout the four parks, and I actually did see Nick Wilde on sale at a few of them, which was interesting. Didn't see the Marvel characters, though.